When I was little, England was many things, but every year it arrived, in a practical fashion, in my aunt's suitcase. Ladies' thingamies for my mother from Marks & Spencer, Hello! magazines, endlessly fabulous sweeties (the swirly lollipops!!) and clean fresh tidiness. 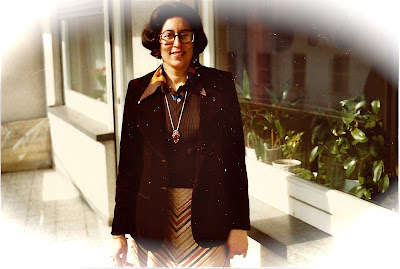 Many relatives came to the Big House in Bombay, from various parts of the world including England, but my Aunt Saida, living in Belsize Park, smoking the odd cigarette with the grace of Kelly, was particularly fascinating to me. She was a single mother from the early 60s onwards, and the loss of her husband from a massive heart attack, so early in their marriage, always gave her the air of a Woman Who Could Manage Anything. When I first came to London as an impressionable fifteen-year old, sans parents, I loved watching her park, and just avoid swearing at the difficulty of finding a space. I learnt how to make a ready meal from Waitrose or Sainsbury look appetising - toss a salad! I learnt to keep her bathroom neat to her standards (terrifying!) and watch a woman enjoy a glass of wine/ sherry/ whisky and a deep profound drag of tobacco while dissecting life, other relatives and the intricacies of her relationship with her only sister. Her hazel eyes could go misty with emotion or daggers angry given the right conversation - yet she always maintained that elegance and dignity that defines certain women. Aunty passed away today after a sudden heart attack. A full life, of course, packed with Drama. Her death marks the passing of the last of my Father's siblings. Yes, I agree with Tess Kincaid with her reference to viewing death as lighthearted. both birth and death are the lighthearted miracles, Life is the serious celebration. Oh Shaista, as always your words create beauty and light, whatever the situation. I love the poem.....what a memory this beloved aunt will be! Love the stories of her visits, and your visit to her. Reminds me of my mom, a drink of spirits, and a deep drag of Export A....lots of very definite pronouncements about everyone.......your aunt lived a full life indeed, and sounds like a strong, spirited and wonderful woman. Hard for your dad, to be the last sibling. My youngest uncle is in the same state. I took him a photo of the family last visit: his parents and all five kids in the last family photo - he looked at it and said "I'm the only one still alive." Wow. Refreshing to find a lighter look at Death. Not necessarily something to be terrified of, depending on how one has lived! Shaista, I needed to supplement to what I wrote earlier. The loss of your Aunty is sad and painful and my comment sounded dstant and insensitive. In this human existence anytime there's love shared in a common space between two living beings, in loss there is sadness and pain. Hope you and your family will celebrate her and regain your strength and continued verve of life. I am sorry to hear about your aunt. Your poem is beautiful - a very worthy epitaph for such a remarkable woman. May she rest in peace. Death of a loved one is extremely difficult to deal with, and people vent out in different ways. Whatever the medium, it is important to express how you are feeling. Your emotions have taken the form of the beautiful poem here, that really lessens the pain of losing someone. I am glad I subscribed to Lupus in Flight. All the very best dear one. 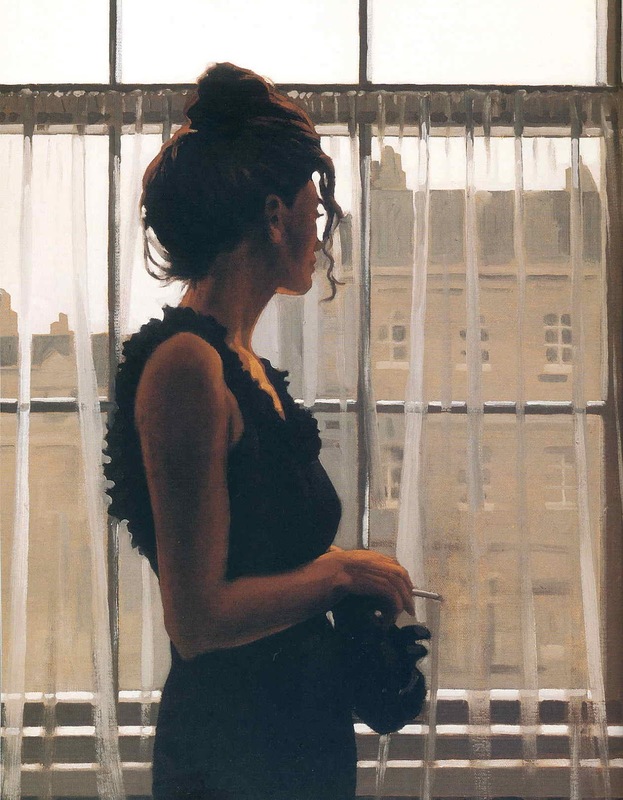 Tess - thank YOU so much for the use of the Jack Vettriano image from magpie. Really perfect, and helped to consolidate the title and piece. Nene, your first comment was so exactly right. Birth and death are the lighthearted miracles and Life is the serious celebration. Thankyou for taking the time and sensitivity to add the second comment, both are appreciated. Ruth, Teresa - yes she was an excellent lady. I think of her hands now, they resembled my father's. Her particular way of talking.. she was surrounded by love when she died, and we have only good memories with which to furnish our thoughts of her. Andrew - that's a lovely thing to say, thank you too. Dear Anonymous - please, if you re-visit this site for any reason, do get in touch properly - as in send me an email so that I can respond to you directly. Thanks so much for the link - I have sent the Art dept at Addenbrookes' several emails regarding my poetry but have never once had a response. Makes me sad!! I am sorry for the loss of your Aunty; that must leave a huge hole...your poem is a beautiful tribute: she looks the sort of woman who would face Death in that way! Oh honey. I know hat you mean about aunties, "like that"
and I love the poem. Perfectly put.